The key value of a Software-defined Datacenter is the ability to improve elasticity via on-demand delivery of resources, while adhering to established policies. Today you have the ability to abstract compute, storage, networking and security resources sothat you can pool those resources, then automate them that elasticity with the governance and control you must have. You also need to be able to monitor and measure the entire environment in a more effective way, responding only to pertinent changes by applying analytics to element monitoring. Ultimately, you need a software-defined datacenter that delivers the peak of automation, flexibility and efficiency. These benefits can only be realized if you can manage it. HP and VMware build on a 12 year history to deliver integrated & tested solutions that propel you on your journey to cloud. Rich will discuss several key aspects of management, including knowing if there is a performance problem, having insight into your datacenter’s compliance status, understanding your costs, and enabling self-service provisioning for users while maintaining control. Rich will explain the differences between managing traditional, physical systems versus a software-defined datacenter. IT is tasked with embracing and supporting this new technology landscape while bringing it under the umbrella of corporate governance, security, and control. VMware will discuss how to give IT the technology and the means to maintain security and control—by transforming siloed desktops, applications, and data into centrally managed services, securely delivered to end-users on the devices of their choice. The result is an empowered and productive workforce. HP and VMware deliver powerful, tested, integrated systems for businesses of all sizes. 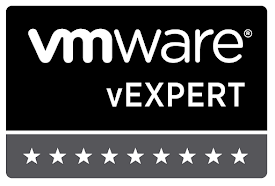 Storage is a critical part of a VMware environment and is a key factor in determining the success and efficiency that customers achieve with virtualization. The role of storage in the data center is significantly different then it was 10 years ago and storage must adapt to be able to support the demands of a virtualized environment. VMware & HP have a long history of joint collaboration and development and both companies feature innovative storage technologies that can help customers take the stress out of storage in their VMware environment. In this session we will cover the requirements for storage in a virtualized data center and how sub par storage performance and availability can be an inhibitor for customers to achieve higher ROI and VM densities. We'll explore the storage architecture and features that are part of vSphere today and how HP Storage integration and innovation further enhances storage in a vSphere environment. We'll also take a look at what's coming next in vSphere with dramatically different storage technologies such as Distributed Storage Architecture, Virtual Volumes and Virtual Flash. VMware & HP will share their experiences with this new architecture and highlight why customers will be excited to see these new technologies. Come hear from the industry leaders in virtualization and cloud and learn how storage technologies from VMware & HP are revolutionizing the virtual data center. Efficient storage management plays a critical role in enabling the modern software-defined datacenter. Storage requirements continue to evolve in order to sustain the rapid growth of virtual environments. Trends like SDDC, Big Data, Hybrid Cloud, End-User Computing are driving new storage technologies adoption, but also new requirements for IT management and compliance. HP and VMware have been collaborating over a decade to provide customers with highly integrated management capabilities. In this session, you will learn about key strategies to optimize and simplify your storage management. Learn how vCenter Operations simplifies management tasks and gives you the intelligence and visibility needed to proactively ensure health, efficiency and compliance with IT policies. The new vSphere Web Clients further simplify administration and are integrated with HP tools to provide a single pane of glass. HP Insight Control offers vCenter plug-ins for accelerated storage deployment and automation of tasks like provisioning or performance tuning. We will cover profile-driven storage management and how to ensure your environment remains highly available, efficient in cost and compliant.